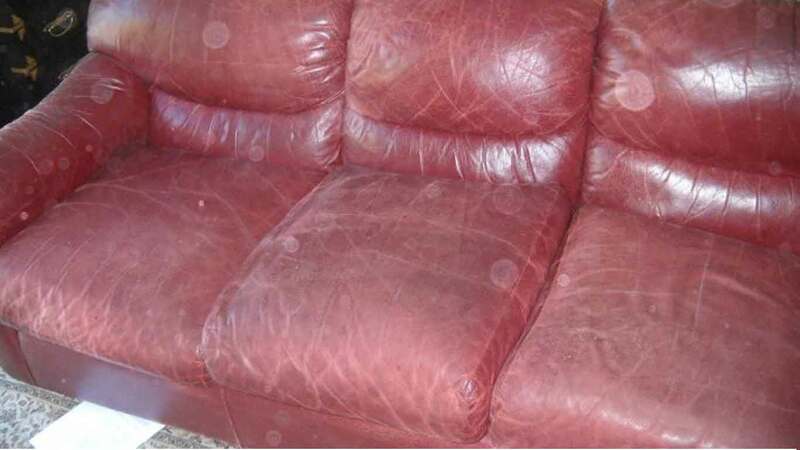 This three-seater leather sofa was so worn out. Notice the deep creases and faded color patches. The owner wanted it gone. Color Glo’s leather restoration kit was able to repair and smoothen out all the deep creases. 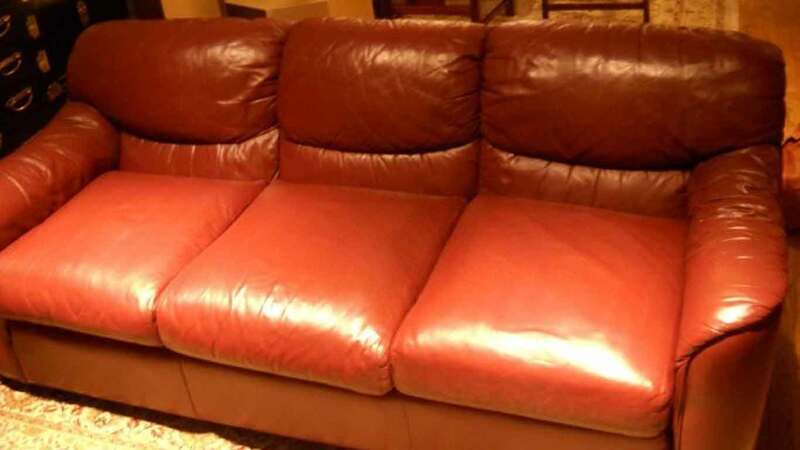 The sofa set was recolored in a rich brownish orange color. The result was so astounding that the owner couldn’t recognise his own sofa!